"Good night. Sleep tight. Don’t let the bed bugs bite." 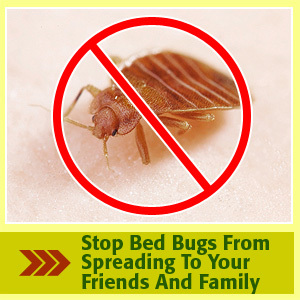 How true – you certainly don’t want them around so here are some tips to help eliminate bed bugs. Bed bugs are small insects that feed on human blood and that of other warm-blooded creatures. Because they are nocturnal, they are most often found in beds, hence the name. Bed bugs are very small, about the side of a poppy seed and range in color from white to brown. When they feed, they inject a miniscule amount of saliva into the human’s skin, resulting in a bite mark similar to a mosquito’s. The bite marks can be itchy but bed bugs are not believed to transmit infectious diseases. Bites are only dangerous in the rare cases in which anaphylactic shock occurs, similar to the suffered by those allergic to bee stings. Because bed bugs are so small, they can hide in any small crevices; and as they are so close to the feeding ground, they tend to favor mattresses, box springs and bed frames, but can hide virtually anywhere and be quite difficult to find. Calling infection control bed bugs experts is a smart thing to do when you face a major infestation. To prevent bed bugs from entering a home, be cautious when buying used furniture and clothing. Seal all holes where wiring and pipes enter the room and fills cracks in baseboards and moldings. Cover mattresses and box springs with special bags that will seal any bugs inside where they will eventually die. Inspect the bags periodically to check for holes. If your home has been infested, hire an exterminator to get rid of them. While insecticides available at local retailers can tackle the problem, it is best to leave the matter in the hands of a professional, because of the dangers of using insecticides. Thoroughly dust and vacuum the area to remove eggs and bugs. Because bed bugs are so small and their bites are so similar to other insects, eliminating bed bugs is very difficult. Even the cleanest homes can be the host to bed bugs. If you’ve been bitten by a bed bug, avoid scratching the site. Apply a cortisone cream to relieve the itching and take antihistamines to relieve any allergic reactions. See your doctor if there is a severe reaction: He or she may be able to prescribe an antibiotic if the site becomes infected. bed bugs can be very annoying. It can be difficult to eliminate bed bugs but once you are done with bedbug extermination, everyone will sleep a lot better. Bed bugs were nearly eliminated in the U.S. 60 years ago, with the pesticide DDT, said Jerome Goddard, one of the authors of the analysis. Now, due to increased international travel, immigration, and resistance to pesticides. Turns out that there is another recent bed bug bites article that complicates matters a bit. I think we’re hardly in a position to state much about bed bug bites with any confidence. What are bed bugs and how can you be sure there are not living on your home mattress or on the bed at your favorite hotel? Bed bugs are ancient insects that need blood to survive. This means t fef hat they are constantly in search of blood. 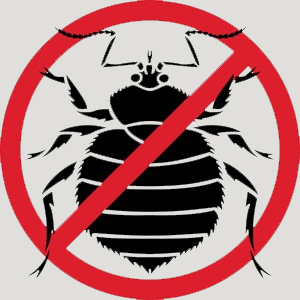 There has often been a lot of debate about bed bugs can transmit disease. On this Web site, one of my favorite industry speakers repeats his contention that they do not, based on a review of more than 50 published studies. Bed sheets Today’s news from the Journal of the American Medical Association that bedbugs don’t spread disease should be reassuring. But if you’ve ever been bitten by them, as I have, and suffered the nonstop itching. According to a recent report, bed bug infestations are on the rise. Getting rid of the insects is a challenge, if not downright impossible, indicating that bed bugs might be here to stay.